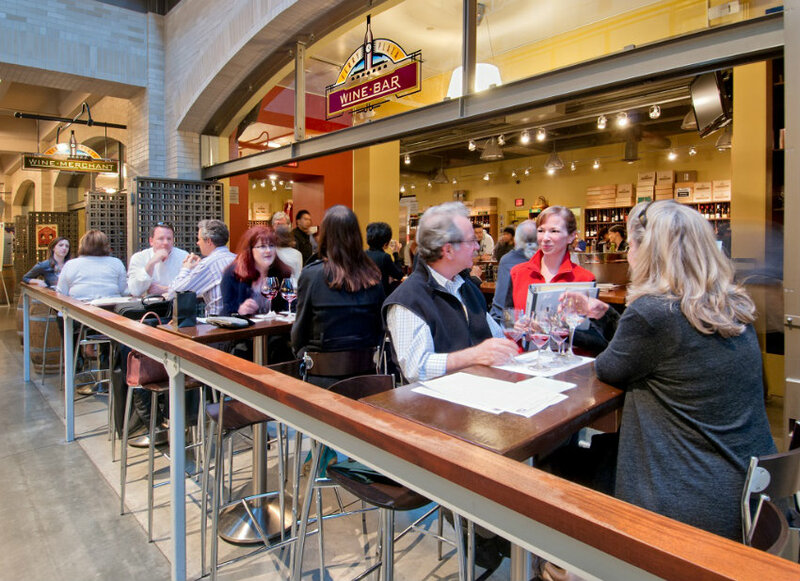 Our Wine Bar is the perfect place to explore the wine regions of the world and try new and amazing wines! On any given day, you'll have the opportunity to chose from over 25 different wines by the 2 oz. taste, the 5 oz. glass, (in some cases) the half bottle, and the full bottle. We think flights are both fun and educational, so we have those for you to consider as well. In addition, anything from our shelves can be purchased and poured for retail plus a $9.00 corkage fee.